Finally, I’ve set foot in one of the country’s hidden gems. I was on assignment in Calayan Island in the Babuyanes and in between, I got to enjoy this piece of paradise in this part of the Philippines. Though it was just a few days, it was very memorable. I’m planning a longer trip later this year. I admit, places I’ve visited in Calayan: Cibang and Caniwara Coves and Nagudungan were the most pristine I’ve seen and been to. Its just so beautiful, a piece of paradise. But will it stay the same for years to come? The Calayan Islands (or the Babuyanes) has that appeal to the adventure traveler: forlorn, so out of the way, limited transportation as it all depends on the condition of the sea: calm one day, treacherous the next. Calayan town is quaint, but has lodging facilities for the tourist. Go beyond the periphery of the town center and be prepared to be amazed, be awed and be surprised with its natural attractions. On my part, I’ve just scratched the surface with visiting the coves. There’s still so much to visit and discover but again, there are plans to develop the island and this can have an adverse impact on the environment. As a travel blogger, there are times wherein I’m torn between blogging about a really beautiful place or not at all but then, it will just be time before it is written about by another person either online or on print. I don’t want to be greedy but the thought of it becoming another tourist spot that cannot handle the surge of people, trash and sewage is unnerving. 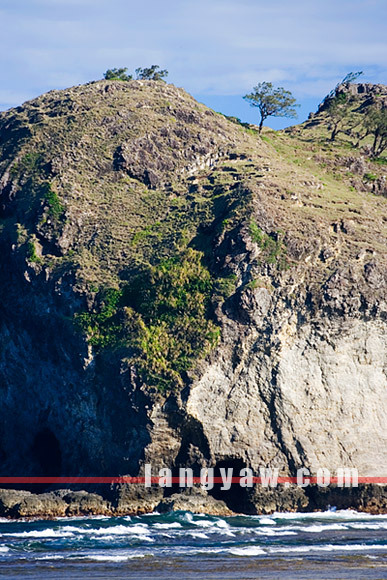 Look at Anawangin and Nagsasa Coves in Zambales. Because of its popularity, several weekenders have been going to these two places, or even the Calaguas group of islands in Camarines Norte. I was aghast to learn that during the Holy Week alone, several hundred people organized by a tour group were just one of the many that went there. Is this sustainble? While the Calayan Islands have the added difficulty of distance, plans are afoot to develop the three coves. Already, a road is being built as of this writing. The LGU tourism plan also favor building cabanas at the coves’s vicinity while a circumferential road and an airstrip are being mulled. If these will push through, it is sure to affect one of the country’s few remaining lowland forests and open these to settlers and exploiters. But pondering about these things, we have also no right to hold off the municipality’s plans to develop itself. Unless a big part of the island’s lowland forests is declared as protected area for the Calayan Rail, an endemic species, it might have a chance to preserve much of its environments. I do hope that the development plans being prepared for this island will be able to balance the need for better revenues with the need to protect the environment and its natural attractions. I also believe that with the right green tourism plan, its a win-win situation. As for the tourists and travelers, I do hope that they will also travel responsibly. That’s the drawback of being a travel blogger. It makes one feel guiltier if the entry only focuses on the touristy side. I have heard about Calayan only from weather news! ganda ng lugar! There is such a thing as ECOTOURISM. that is low-impact tourism. You get to build non-permanent buildings, (i.e. light materials, hopefully found on site), you give a short Leave No Trace Principle talk before you let the tourists go to the site. you also have to implement the carrying capacity limits. This will give you revenue yet with low impact on the ecosystem thus preserving it. 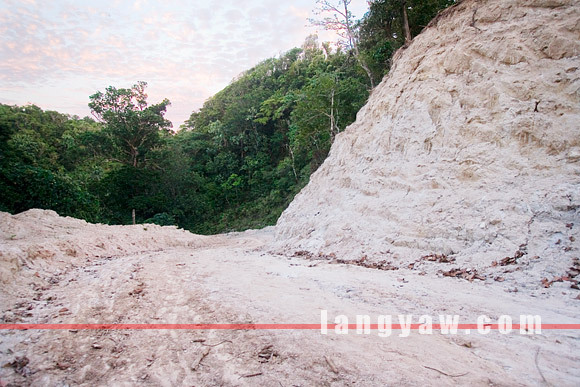 Great pictures, truly Calayan is a place that needs preservation. I hope I’ll get a chance to visit those islands in the future. Thank you for sharing your insights and stories, more power to you and God bless. makapanindig balahibo ang huling pic dito. part na ito ng aking bucketlist. i have to agree with your observation sa Calaguas. just this summer 2011, andaming trash along the beach at green algae floating near the shore. I wonder if I could use two of your photos on Calayan Islands. My son is assigned there and I would love to make a blog based on his stories of the place but I don’t have photos to go with it. I promise to credit the photos back to you if you will allow me to use them. Thank you so much, hope to hear from you.